It’s that time of year when serious films with serious award aspirations start arriving at movie houses across the land. Such is the case with “The Wife,” which features a statuette quality performance by Glenn Close as the spouse of a novelist, who finds out early in the film that he has won the Nobel Prize for Literature. What evolves is the story behind the story. That is, the real contributions of the apparently stand by your man wife. 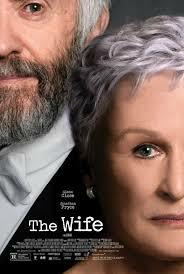 It’s a shade melodramatic, and the ending is a bit heavy handed, but “The Wife” is a needed contemplation of a cultural imperative that needs to be fully disposed of.